No one is in trouble, we’re not angry, Mommy and Daddy just really need to know where the remote is. Think hard, boys. It’s the tiny, lightweight, easily lost clicker. Ok, close your eyes and concentrate. You were all sitting on the couch, remember? Then I came in and said it was time to pause the movie. Who got off the couch first and where was the clicker? You think you had it in your hand? Left or right? How certain are you? And then you walked where? And what were the rest of you boys doing exactly? Alright, alright, *deep, calming breath* if it’s not anywhere we can see it, it must be in or under something. Everybody up, I’ll check the couch, you boys check the toy bins. Thus began The Great Clicker Hunt of 2014. Toy baskets were overturned and the contents sorted. Repeatedly, you know, in case we overlooked something. We found an incredible selection of old elastics, Happy Meal Toy components, and random bits of Lego, but no clicker. Next we launched Operation Couch Query. After reaching into the cracks and crevices and discovering enough cereal and pretzels to make lunches for the next day for the entire family, no clicker turned up. We decided to be more thorough. 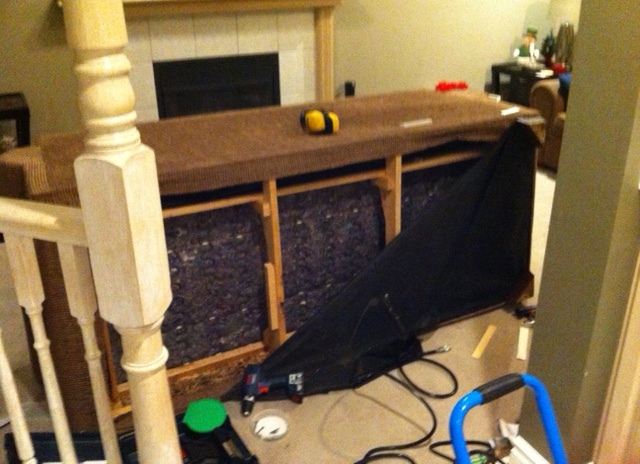 Bearded Husband stepped on the springs while I bravely reached even farther into the depths of the chesterfield. This time I came upon eight Hot Wheels cars, more snack food, two allen keys (what? ), and a small piece of my sanity. Since we were being thorough and still clicker-less, I took a few moments to vacuum up the shame-filled couch. It was there one minute and gone the next. Everyone was perplexed. We reviewed our search grid looking for oversights. The only thing to do was double check. And bribe the children. We offered a $5 reward to the son who had any information leading the safe return of the clicker and ice cream for the whole family to celebrate its return. This infused the search with a new energy and children scattered throughout the house and hunted with gusto. We had narrowed down the possible locations based on the testimony of our eldest son. He was “pretty sure” he had the clicker in his hand when he stood up to move his army men. But his memory is fuzzy after that. Where else could it be except the couch. Despite our thorough ferreting around we concluded it must be there, we just needed to look deeper. Brace yourselves, dear reader, this is where things get real. We turned the couch on its side and shook it. Yes! I hear that rattle, too. Out came the crowbar, screwdriver and flashlight. 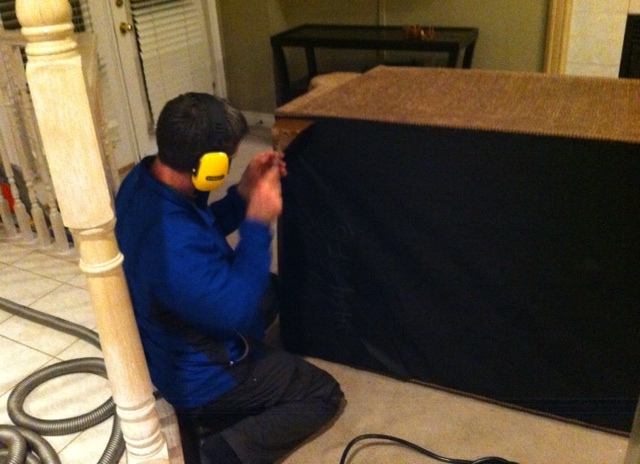 We took the cover off the bottom and delved into the underbelly of the sofa. Nothing. I wouldn’t lie to you, here’s proof. I reconsidered the nine-year-old’s testimony and expanded the search grid. No possibility was dismissed. I pawed through the kitchen garbage and touched raw chicken with MY BARE HANDS, but I would not give up! Sure, now we had the tools to assemble a desk from IKEA, but I had shows to watch – THIS WAS TOP PRIORITY. We repaired the faulty springs, you know, since we’d opened it up anyways.